Doe shook his head as his eyes scanned the seats. 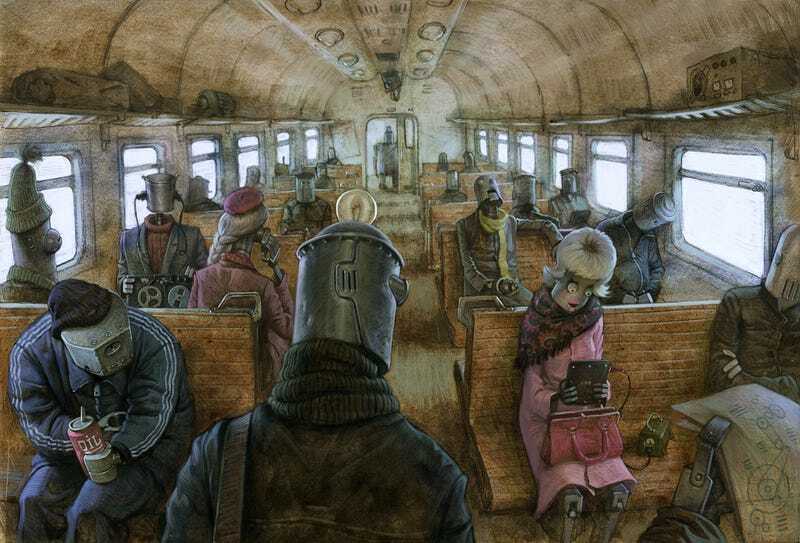 Here were bots who swept the floors and prepped the fuel at the city's most advanced factories, yet everyone headed to the Rust Avenues carried bespoke gadgets that would have been primitive even in the human age. An illustration by Waldemar von Kozak.